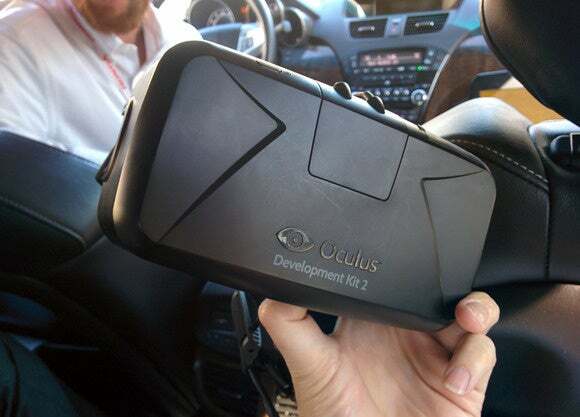 The car (an Acura MDX from Honda's luxury line) was going to drive around the parking lot at Honda’s new R&D center here in Mountain View, California, and the headset would let me gaze into another world as we drove along. 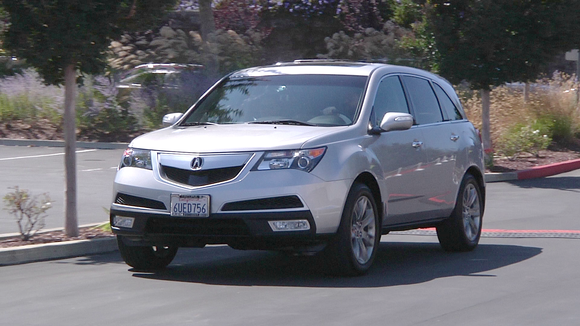 This Acura MDX sports utility vehicle drove around the parking lot of Honda's new research facility in Mountain View, California, while journalists sat in back wearing Oculus Rift headsets and experienced racetrack and other driving scenarios. 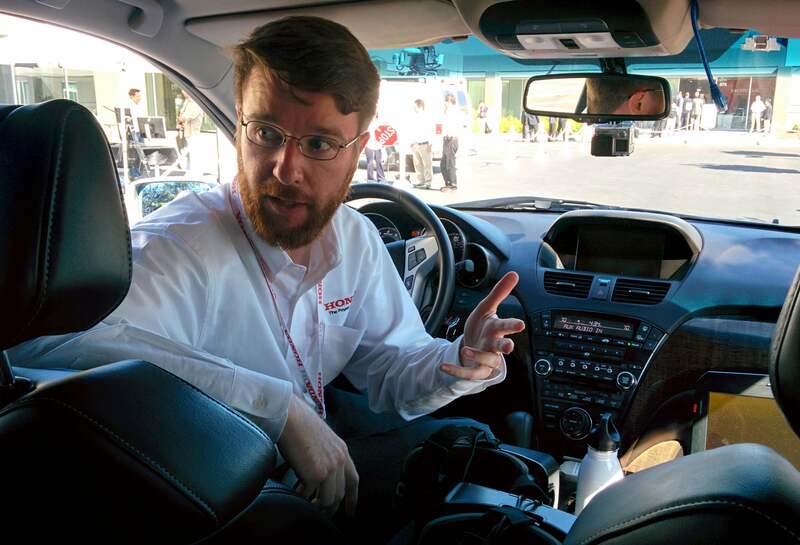 At the Honda Dream Drive event, staff drove a car around the parking lot at Honda's new research facility in Mountain View, California, while reporters experienced virtual reality synced ot the motion of the car.